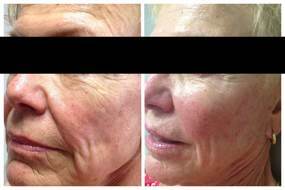 Sculptra is a special type of FDA approved facial filler that actually restores lost facial volume by stimulating your body’s natural collagen production. The increase in naturally produced collagen (which is the protein structure responsible for the shape, resiliency, and texture of your skin) allows for the increased presence of naturally occurring hyaluronic acid. This produces long lasting, natural looking results, due to the body’s rejuvenated capacity for collagen production. Made with poly-L-lactic acid, Scupltra is a synthetic, biocompatible, and biodegradable substance that is frequently used in reconstructive surgery for dissolvable stitches and soft tissue implants. 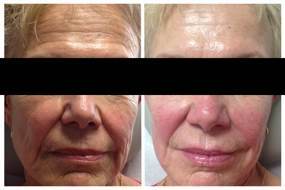 FDA approved for treatment of deep folds, marionette lines, and chin wrinkles, it is an exceptional anti-aging filler that can ensure dramatic results for up to 2 years.